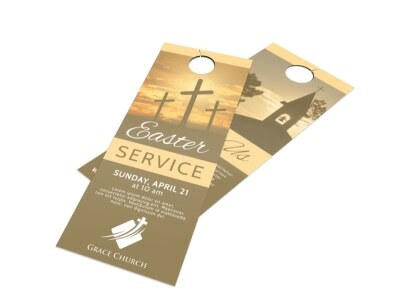 Customize our Easter Sunday Church Service Door Hanger Template and more! 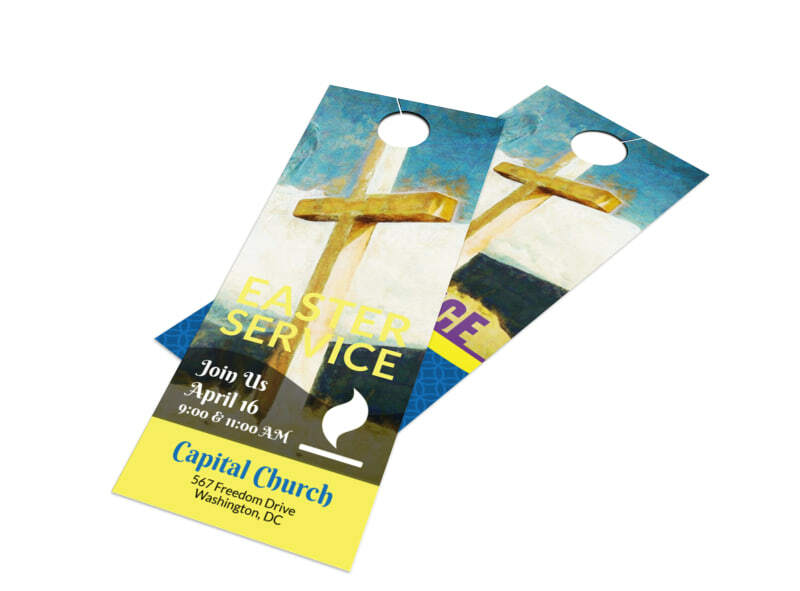 Let every family in the neighborhood know that they are welcome to attend Sunday services at your church with a customizable door hanger. 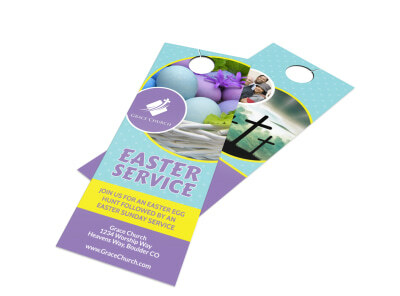 Increase Sunday service attendance with this beautiful door hanger template that you customize yourself using your own details, including information on any special services and programs, activities for the children, and more. 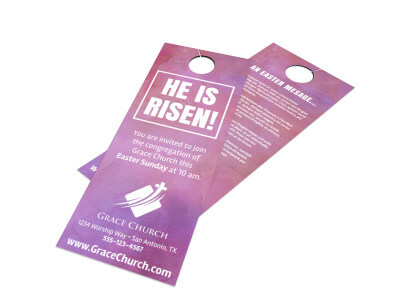 Make this design your own with just a click or two of your mouth, and print your door hanger so that you can go ahead and start inviting others to attend.